It’s a big day for birthdays. At the Los Angeles Yacht Club today they celebrated the 90th birthday of the man who gave us the Cal 40, George Griffith. I count the Cal 40 as the one plastic classic that’s still as cool as a ’57 Chevy. 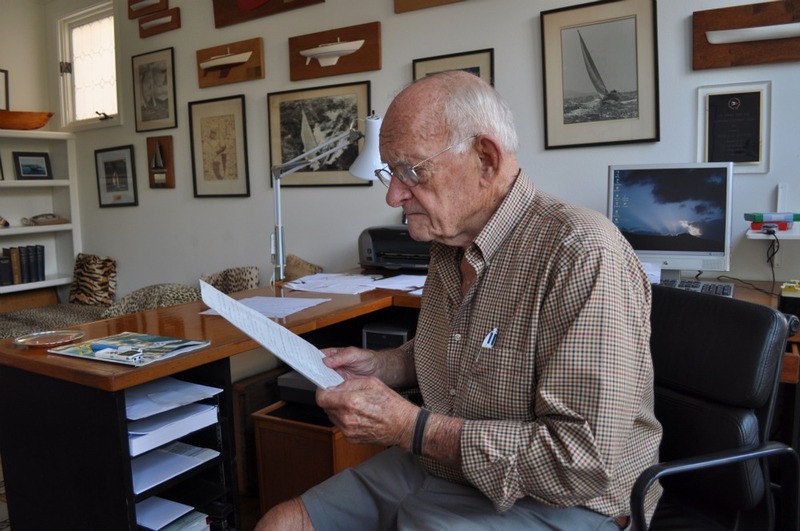 Here’s George in his home office last year in Long Beach, California . 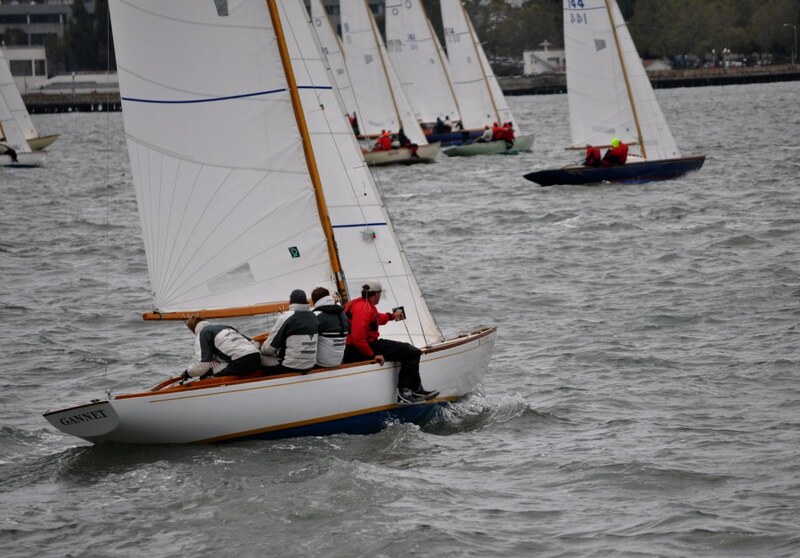 . .
At the other end of California, the Wednesday Night Woodies celebrate 50 years of sailing in the dark. For these races it’s often just as cold as it looks here, but these are older images. Tonight’s 50th anniversary race, launching the 2011 season, promises to be mild, sunny, and yes, we could even say, golden . . . 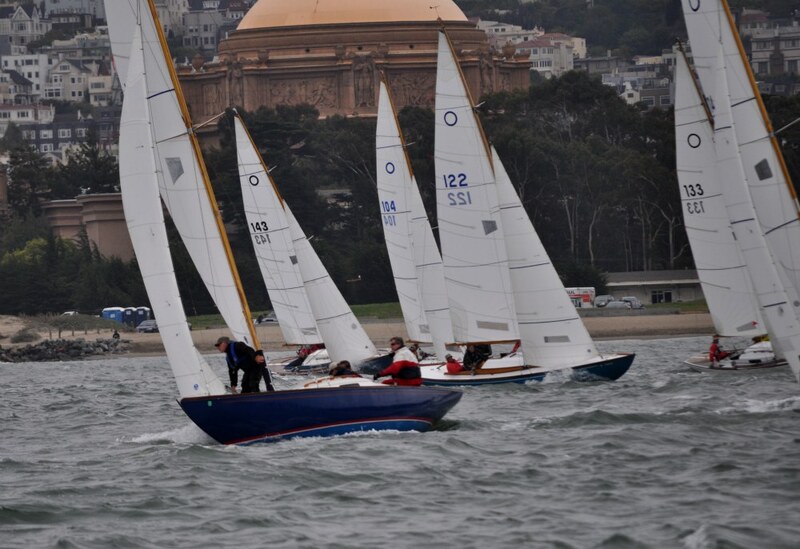 The summer series began at Golden Gate Yacht Club in 1961, and more recently moved down the street to the St. Francis Yacht Club. 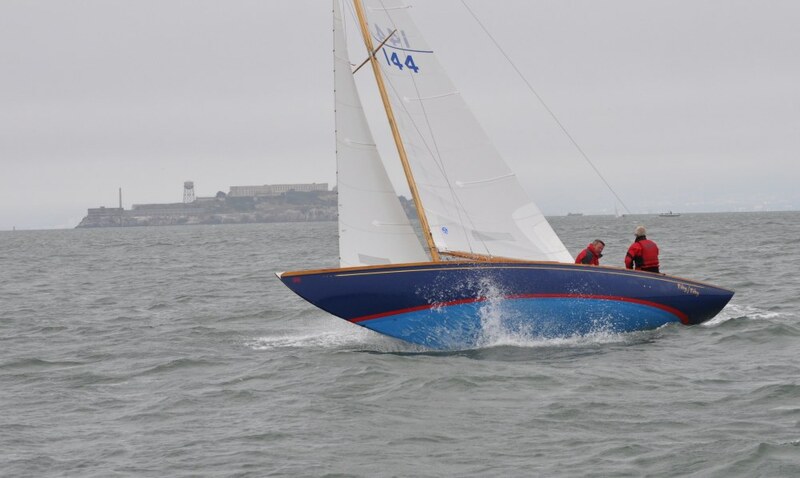 However you slice it, this is one of the great traditions of San Francisco Bay, Corinthian yachting at its best. To be clear, it’s an evening series, and the boats are home before dark. With apologies, I have only Knarrs to show in this batch of photos, but the Wednesday nights also draw Folkboats (who originally got the thing going) and IODs . . .